Show your little ones and teens the magic of Disney with these Cinderella-inspired pumpkin carriage earrings. 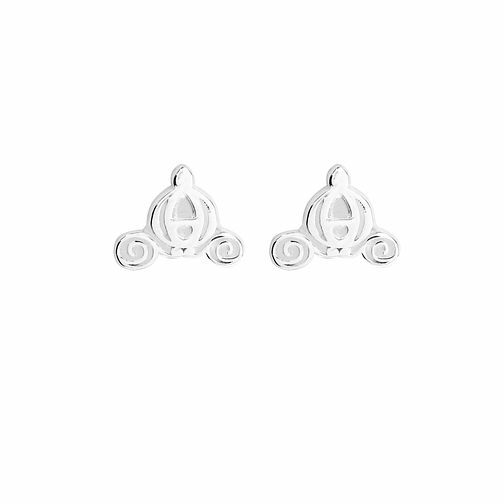 These pumpkin carriage earrings designed in sterling silver are the perfect gift for a little princess in love with all things Disney. This design is exclusive to H.Samuel and each piece comes with its own beautiful Cinderella gift box. Disney Children's Cinderella Silver Pumpkin Earrings is rated 4.7 out of 5 by 3.